You can depend on Laser Electrical Taupo! Over 20 years servicing Taupo and surrounding areas including Acacia Bay, Kinloch, Wairakei, Reporoa and Mangakino. Providing complete residential, commercial and rural services. Formerly Carr Electrical, Laser Electrical Taupo is a trusted local electrical contractor serving the greater Taupo area including Acacia Bay, Kinloch, Wairakei, Reporoa and Mangakino since 2005. We strive to deliver excellent customer service and maintain the high level of workmanship we are renowned for. Our customers can rest assured that we are fully qualified, being Safepower assured and registered Master Electricians (Electrical Contractors Association of NZ). Specialising in both residential and commercial electrical wiring and installations, we have established ourselves as a leading electrical contractor in the greater Taupo area. We have seven qualified electricians ready to attend to any electrical problem. Our experienced team are Unison OS1010 certified to work on the Unison network ground mount pillar boxes. We also have an electrical inspector on our team so Laser Electrical Taupo is able to offer a comprehensive range of electrical services to meet all of your electrical contracting requirements. 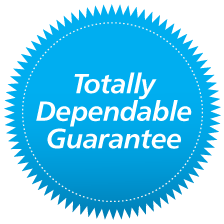 Need a 'Totally Dependable' electrician? Contact Laser Electrical Taupo today! Laser Electrical Taupo has worked with many local organisations and businesses. Here are just a few of our loyal customers. When you need an electrician for your home electrical requirements, you can count on Laser Electrical Taupo to get the job done on time and on budget! Laser Electrical Taupo has highly qualified and experienced electricians, providing a wide range of electrical services for the home. We deliver electrical systems and solutions that work with your architecture and home requirements. From design to finish, our experienced team can provide the expertise needed to ensure your electrical project is completed within critical time schedules and budgets. Contact us or learn more about our Residential Services. We know dealing with subcontractors can be a nightmare, therefore our goal is to minimise your stress by delivering on our promise of being Totally Dependable. Laser Electrical Taupo provides general electrical services to rural properties across the greater Taupo area including Acacia Bay, Kinloch, Wairakei, Reporoa and Mangakino. Laser Electrical Taupo have years of experience in providing rural electrical repairs, installations, rewiring and maintenance to sheds, cottages, homesteads, farms or kit homes. We can also assist in pump installation to provide irrigation and all other applications. Our specialist technicians provide quality workmanship, immediate response, and friendly, expert advice, whether it is for new installations or breakdown management. Laser Electrical Taupo understands the specific requirements of rural properties. It is our aim to help you reduce your maintenance costs and improve your efficiency. Laser Electrical Taupo can take care of all your electrical services and needs! Please contact us to discuss your requirements. We would not hesitste to recommend them to anyone that requires assistance with an electrical fault irrespective of size no matter if it is a light switch in a domestic home or a multi million dollar situation in an industrial installation." Big thanks for the friendly help." Arrived at the appointed time, Electrician was courteous and friendly." Electrician arranged to come earlier which was great. Did a great job and was friendly & courteous. Very nice intelligent young man." Fast & friendly service with a smile."